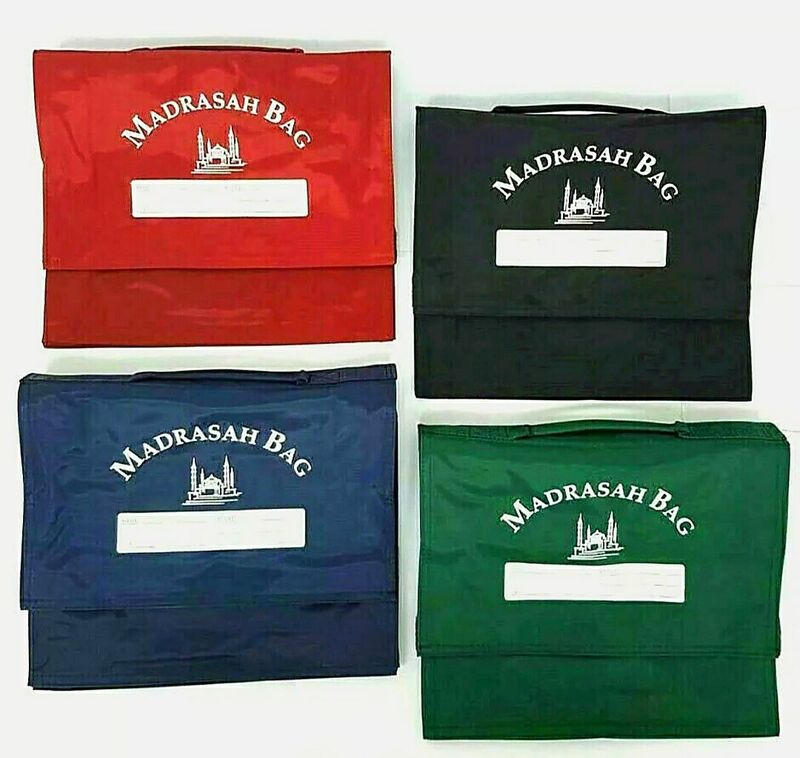 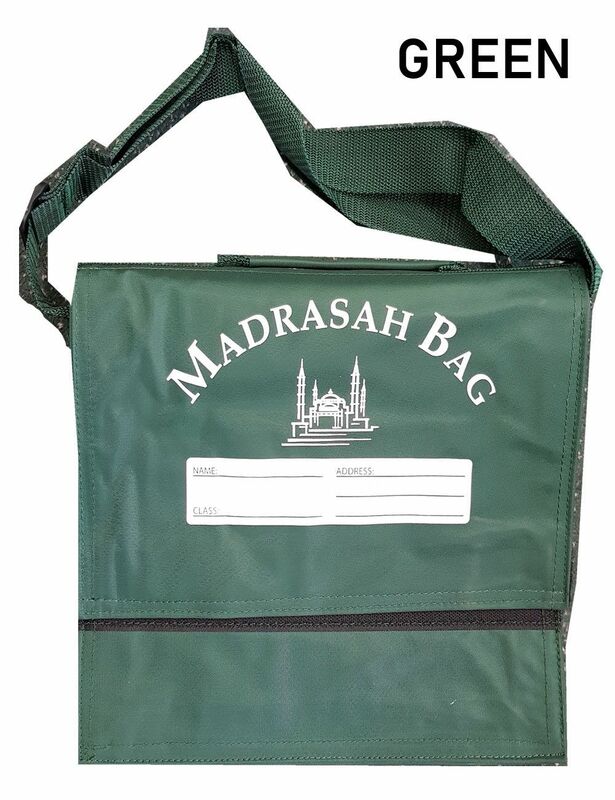 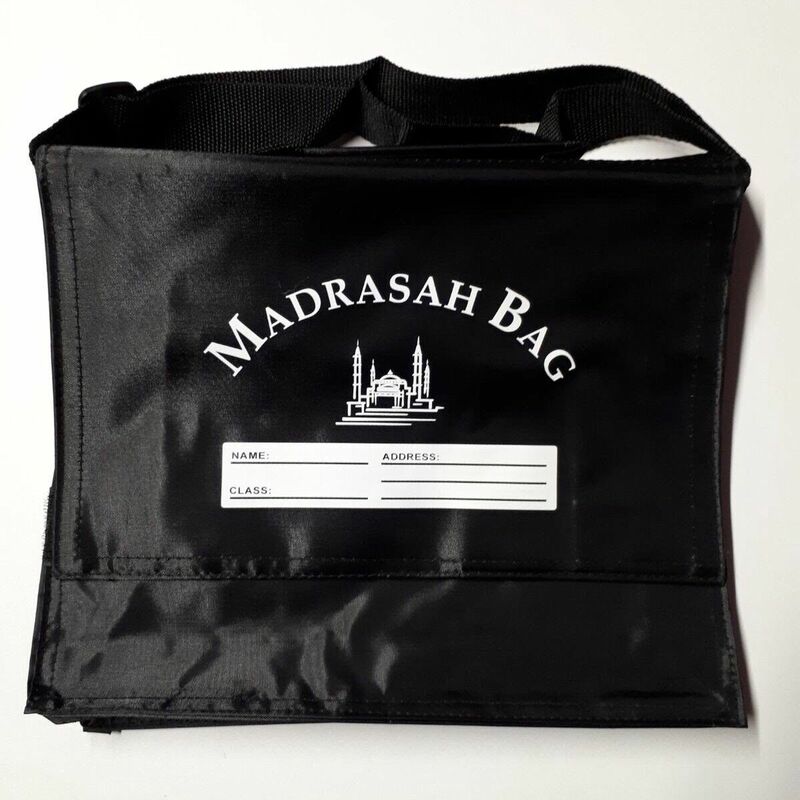 Madrasah mosque bag for children moving up from their middle years of starting as their books have increased & they need a Large size bag to accommodate for their books. 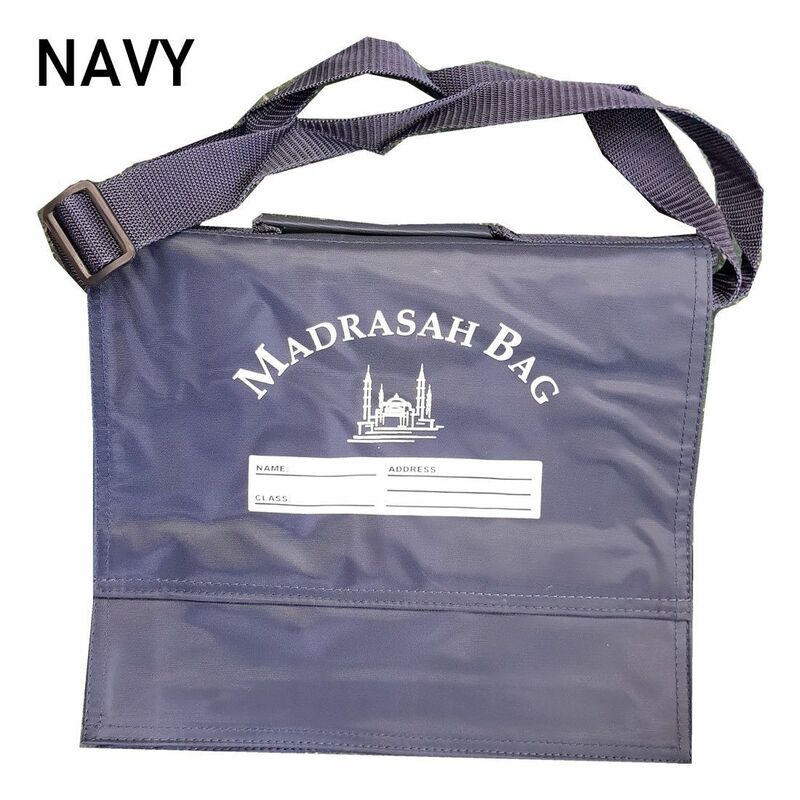 Bag can open & close with Velcro & has an adjustable strap. 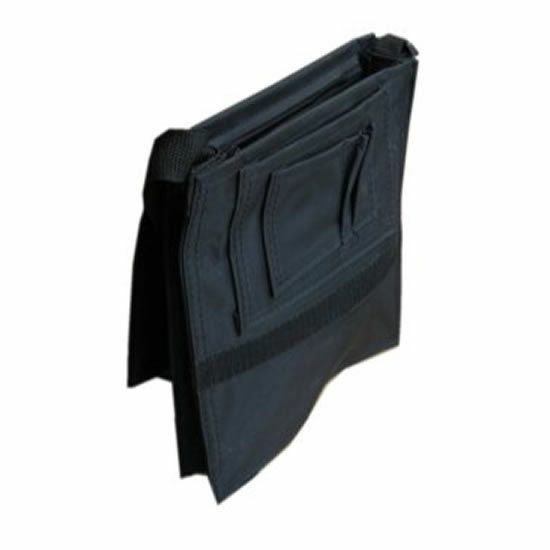 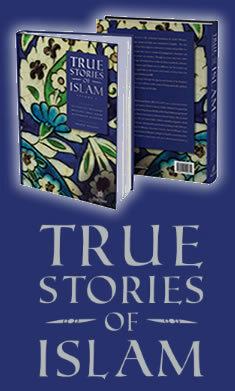 Bag also has a strong layer of material enforced inside the bag for that extra protection for the books.